Cloud computing is definitely a term you get to hear everywhere, and if you are in a business, you might be wondering if you need to jump into this bandwagon. Every day, thousands of enterprises are making this decision of migrating to cloud services, given the wide range of benefits offered. Cloud computing systems streamline the IT processes of any firm and make daily computing easy and manageable. Before starting with the migration to cloud, enterprises must evaluate its demerits and merits of cloud computing and plan the migration accordingly with apt cloud security measures in place. Easy in Implementing- The enterprises need not bother about the backend technicalities when transferring the data to the cloud. The entire cloud infrastructure can be easily accessed by the enterprises, and the apps & business processes can be readily managed. Accessibility and Collaboration- The biggest benefit of cloud computing is the ease with which the data can be accessed from anywhere, anytime. This ensures that the productivity and efficiency are increased because the apps can be accessed anytime. Also, cloud computing helps enterprises to collaborate and share their resources among partners and users in multiple locations. Cost per Head- With enterprises switching to cloud technology, the overhead costs reduce drastically. There is no necessity of physical servers and staff to manage it. This extra time and resources can be utilized elsewhere to improve the company infrastructure and productivity. Flexibility- Flexibility and scalability is core to cloud computing. When companies need more apps and services, it can be easily inserted into the cloud, and in the same way, resources can be subtracted if the need arises. Efficient Recovery Plan- Cloud computing services are quick, accurate and reliable. The recovery plan of an enterprise becomes efficient due to the quick processes and reduced downtime by cloud computing, and also, the results are accurate. Limited Control- When an enterprise moves all its data into the cloud, it loses ownership over that data, and that particular data and information is virtually handed over and it becomes arduous for the IT staff to have full visibility and control on it. Limited Features- The enterprises, in order to cut down on costs, go in for the cloud services that have limited features. Unless firms do not opt for customization as per their requirements, cloud services will be tough to manage and security may get compromised. Servers to Remain- The servers may be reduced in number, but enterprises will need them to have backup and recovery. The organizations cannot let go of all the servers and staff when they move their data to the cloud. Redundancy Plans- A cloud server is not backed up in most of the cases unless opted for. Hence, enterprises may need to invest in backup plans. Although this will add to the overall expenditure, it will be worth it in case of emergencies. Bandwidth Problems- The organizations need to plan their network and all the services and apps on the cloud cannot be packed into small set of data centers. For ideal performances, the company has to plan accordingly and see to it that there are no bandwidth issues and work doesn’t get hampered. 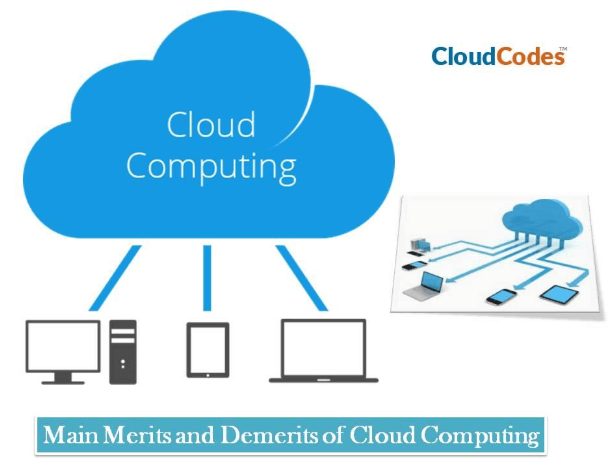 Before the enterprises perform the migration of their data into the cloud, enterprises must evaluate its demerits and merits of cloud computing and they need to design and plan what is to be moved and how it is to be stored and processed. Adequate security measures are to be implemented and this has to be planned together with the migration so that the confidential data remains safe and secure in the cloud. CASB solutions, when deployed by enterprises can instill greater access control into the system by imposing policies and restrictions to the access of confidential data, so that their data remains secure.